It was a beautiful sunny Monday, after a rainy week. Like every other day, I went for a morning walk and there I met my long-time friend, Jake who runs a courier company. He expressed his frustration about how last week’s bad weather caused delays in his pickups and deliveries and annoyed his customers. But, he was also pretty excited due to the sunny weather today. We could only talk for a moment, as he had to leave early to rush to the office. He had to ensure his vehicle route planning was finished before his drivers show up. We met again almost two months later. But this time, I found Jake pretty different. He looked frustrated and puzzled. On asking him what was wrong, he told his story. That Monday, he reached his office early and by 9 a.m. he was done with his route planning. He shared the routes with the drivers as soon as they came in. The weather was good, he had finished his planning earlier than usual and the drivers showed up early. This made Jake feel like he was on the top of the world. But, at around 4 p.m., Jake realized that there were some problems. He got calls from two customers, complaining about the delays in their deliveries. Everything went according to his plans. What went wrong? He asked the drivers and got to know that it was due to sudden roadblocks that caused the delays. Jake didn’t have any way to verify whether the driver was telling the truth. He always planned his routes manually on paper. So, he conveyed to the customers the problem and assured them that it will never happen again. But… things started getting worse after that. Such instances started happening multiple times from multiple drivers. And, every time they gave him one reason or another. It was costing him heavily. He was losing a couple of his important clients and was clueless as to how to move forward. This happened as he didn’t have any tools in place to verify whether the drivers were truthful. But, Jake is not the only courier business owner with this problem. In fact, it may happen to you as well. RELATED: Do You Still Let Your Employees Run Your Business? Drivers’ often waste time, knowing that they can’t be tracked. ….. And… this can damage your business. Investing time on such drivers is a total waste of your time, money, and effort. It’s like the famous quote below. But… what are they wasting time on? What way of tracking them can help you take action? What happened with Jake? How did he solve his problem? We demystify everything in this article. Read on to find out. There could be instances when your drivers do personal work during their work hours. For example, they may visit their friends, go shopping or stop at the nearest comic book store. Every minute lost increases the chances of a delay in a delivery. If they try to cover the gap, they would also definitely speed up. That means more fuel usage. If a truck travels at 75 mph, then it consumes 27% more fuel than one driving at 65 mph. This is according to the American Trucking Association (ATA). So, speeding never pays. It also increases the probability of accidents. This could then increase the chances of truck inspections and increased insurance premium. Unauthorized vehicle use can pose a great risk to your fleet. The driver could be in a road accident, even when he or she uses the vehicle for personal work. This can still negatively affect your business. This is because they are not using the vehicle after work hours. Instead, they are doing it during work hours. So you would be held legally and financially responsible for any mishaps. You’ll also see a rise in your fuel and maintenance costs and the service life of your vehicles will be reduced. Medium-duty trucks burn 6.7% of the total fuel they consume! This is according to the U.S. Department of Transportation. In numbers, that’s about 2.5 billion gallons of fuel each year. Imagine how much damage this could cost your business. You might want to give your drivers one hour for their lunch break when planning routes. But, what if they take two hours on a given day? … And, what if they do it consistently? Would you even know that they are taking longer lunch breaks if you plan your routes on paper? And, how would you manage that extra one hour? You can’t ask them to work extra hours. That will violate the Hours of Service (HOS) rule of FMCSA. You can’t compromise with the deliveries either. That means a complete deadlock situation for you. And, it is similar to Jake’s situation. The amount of time your drivers spend at a customer’s location is proportional to your costs. For example, drivers have to wait for customers to sign that the product was delivered. Let’s understand this with numbers. As an example, a driver makes 200 stops per day and spends about 10 seconds writing down information about dropping off a package at every stop. That means each driver spends 33 minutes (200×10/60) at customers’ locations each day. Now, let’s say you have 10 drivers. That means around 300 minutes or five hours are spent every day at customers’ locations fiddling with paperwork. If you pay the drivers $15/hour, it’s $375 (15×5) of extra expenses for you every day. That means $7,500 (375×20) a month. Most importantly, more time spent at each customer’s location. Imagine how big your expenses will be in that case! Taking a left turn means having to wait for traffic to clear and leads to fuel and time wastage. It can also lead to a disproportionate number of road mishaps. The more left turns your drivers take, the more fuel and time will be wasted. They implemented a rule to avoid left turns for all their drivers. That helped them save a whopping 98 million minutes of idle time per year. So, do you think that taking a left turn is profitable? You might plan a well-optimized route, but that doesn’t mean your drivers will follow it. There could be times when your drivers unnecessarily take longer routes. And, that can increase fuel consumption and expenses along with time wastage. According to a report, more than 15% of annual truck miles don’t generate revenue for a business… wasted miles. Will that be a good sign for your business? Drivers can also waste time by driving through high-traffic areas during rush hour. Jake found that this was a major reason for delays when his drivers told him about roadblocks. They intentionally went through such areas and got stuck. 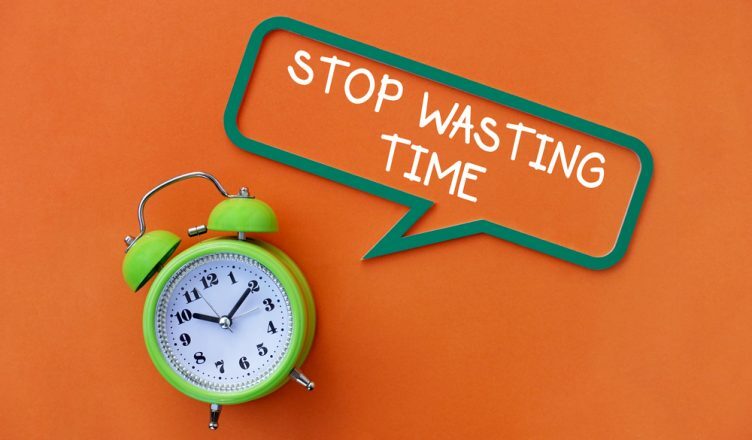 And… it’s not only about wasting time. When they are in slow-moving traffic, they might need to keep their engine running. They might have to provide heat or air-conditioning to the products inside the truck. … And, that can affect your fuel expenses. According to a report, an idling truck consumes almost a gallon of fuel every hour. Fleet managers can save around $6,000 per truck annually by limiting excessive idling. This is according to the U.S. Environmental Protection Agency (EPA). So, it’s not just about wasting fuel, it’s about wasting both time and money as well. Luckily, Jake found a solution that saved him from disaster. And that was fleet route planning software. Great routing optimization software should come with a vehicle tracking feature. This helps you figure out what your drivers are doing on the road in real-time. So, you’ll know when they don’t follow the planned routes, take longer routes or are stuck in traffic. You’ll have all this data at your fingertips whenever you want and from any device. That’s because route optimization software comes with mobile apps as well. Such software even informs you when your trucks are used without authorization. For example, when a driver takes it after work hours or during the weekends. This helps you take immediate action. 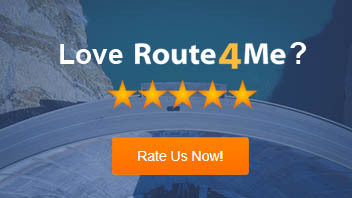 Route4Me’s route scheduling software also comes with an “Avoid Left Turn” feature. When you plan routes with a routing software, you just need to enable the feature. It will then automatically calculate and provide an optimized route that excludes left turns. Imagine how much expense and time you can save here. Another big advantage of vehicle route planning software is the geofencing technology. This doesn’t mean you don’t need to track your drivers or vehicles for unauthorized use. But, you can use this to create virtual fencing around the vehicle storage facilities. For example, you can fence off an individual driver’s home or parking lot. And, as soon as the driver moves out of the geofence perimeter, it informs the fleet manager. You can even use this technology during business hours. For example, you can automatically create a geofence around a job site. As soon as the driver leaves the site, it will notify you instantly. Plan routes at the last minute. Plan routes from the interactive map screen. Remember, as per UPS, one minute of idle per driver per day can cost you almost $50,000 of fuel each year. Jake regretted not using the vehicle route planning software earlier. So, don’t let that happen to you too. Learn from Jake’s mistakes and embrace planning and routing software today! Do you need help in identifying the one that suits your needs? Following is a related article that should help you choose a right dynamic vehicle route planning software.